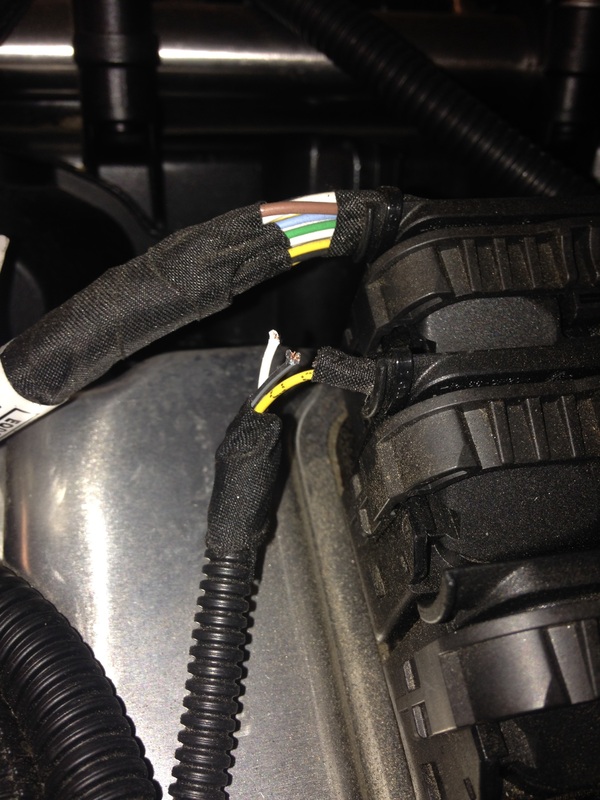 Picture of some damaged wiring in the engine compartment,,,,this N20 engine and on one of the connectors at the DME,,,,the wires get cut that go to the purge valve. 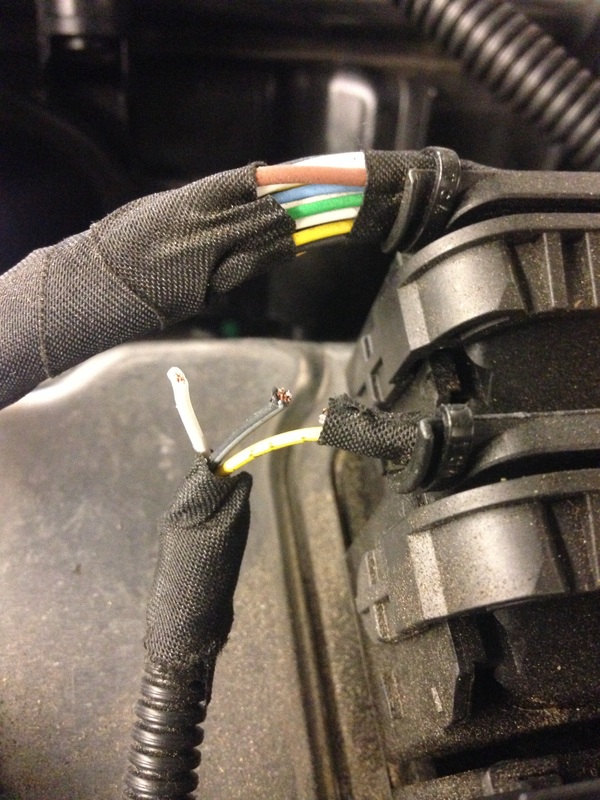 These damaged wires will cause a check engine light,,,,,,it will not make your car drive any different,,,,the wiring can be repaired with a harness kit,,,,,BMW knows about this. This entry was posted in Uncategorized and tagged N20, wiring damaged. Bookmark the permalink.